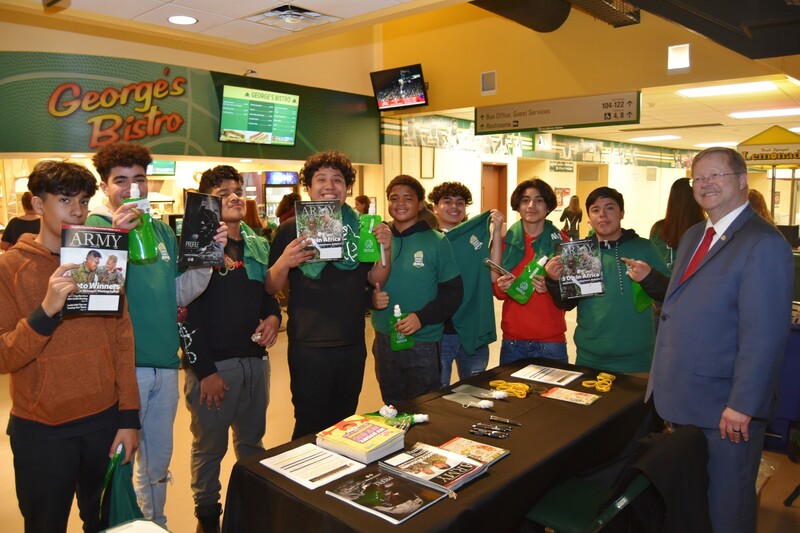 The Fairfax-Lee Chapter salutes this year's recipients of the George Mason University MADE A DIFFERENCE awards. 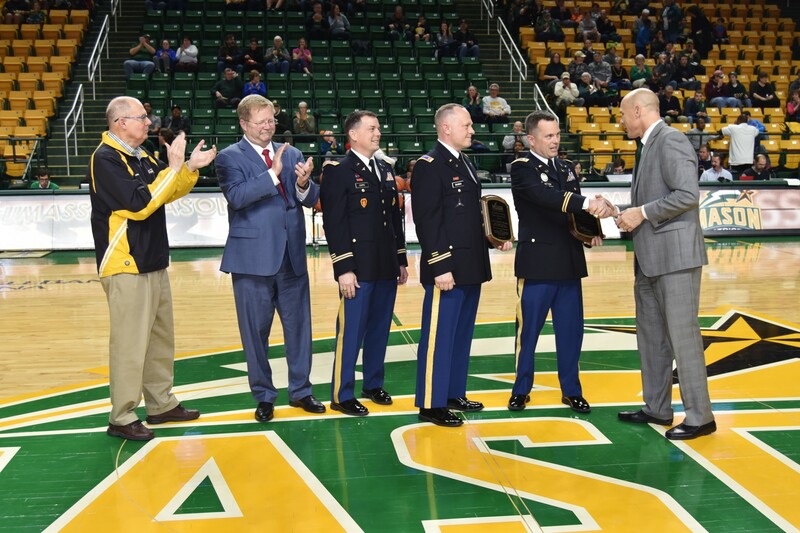 Brigadier General Robert Harter, US Army Reserve and Chief Warrant Officer (CW4) Clifford Bauman, Army National Guard were recognized for dedicated and distinguished service to their communities, the Army, and the Nation over a sustained period of time. BG Harter is the Commanding General of the 316th Expeditionary Sustainment Command; Chief Bauman currently serves as a Logistics Technician, ARNG Aviation Logistics Branch, ARNG Aviation and Safety Division. Each received a MADE A DIFFERENCE plaque presented by Mr. Brad Edwards, Asst. 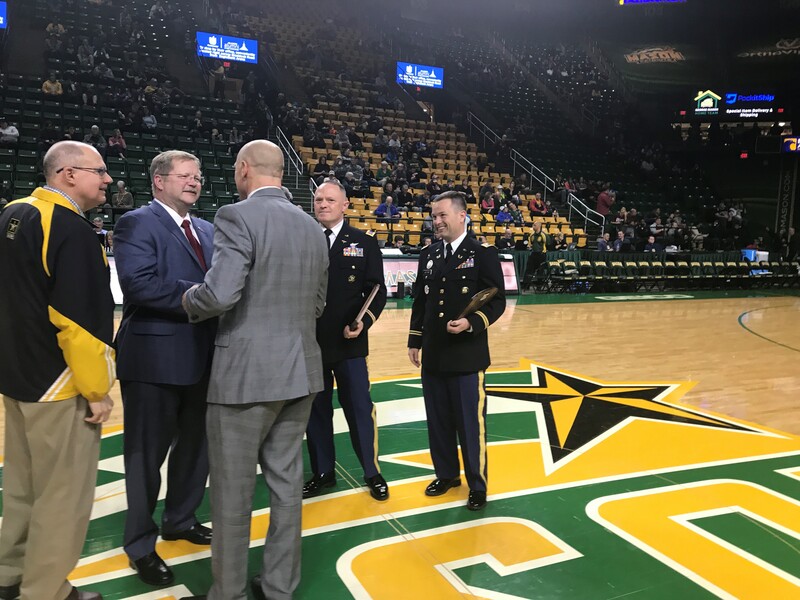 Vice President, Director of GMU Athletics on behalf of all the students and faculty of the school. 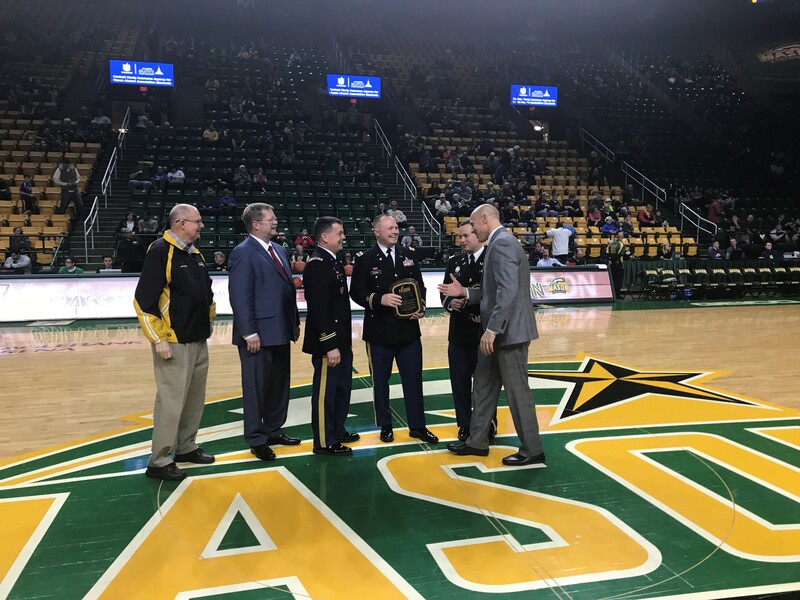 Also, present for the ceremony were Mr. Ken Britt, President, Fairfax-Lee chapter, Mr. John Hodges, Past President, Fairfax-Lee chapter, and LTC Dudley Capps, C, Systems and Readiness Branch ARNG Aviation & Safety Division. Accepting the award on behalf of BG Harter was LTC Mark Vetter.